After the successful launch of the Redmi Note 7, Xiaomi's sub-brand is looking forward to its upcoming Redmi Note 7 Pro and another flagship phone. Yes, you read that right - Redmi is working on a Snapdragon 855-powered handset aimed to launch this year. 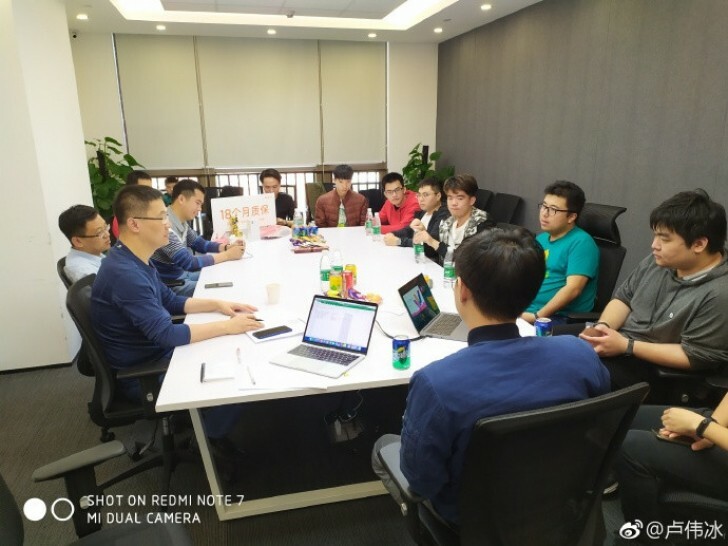 Lu Weibing revealed the information on Weibo posting a photo of him and Redmi's crew in Xioami's Shenzhen R&D Institute where they've discussed the future of Redmi as a brand and its upcoming devices. He said that they've talked in details about the two phones, which means that the company will be stepping out of the mid-range territory and enter the premium market segment. For now, no details have been revealed so we don't know anything about Redmi's flagship phone except that it's going to run on Qualcomm's latest and greatest Snapdragon 855 SoC.